At Professional Supplement Center, we’re often asked about digestive health support. How many of us would eat healthier if we really appreciated our gut and its importance to human health, physiology, and survival? Our bodies rely on the major digestive, nervous, endocrine, cardiovascular, lymphatic and respiratory organs to provide the daily functions that sustain, not only health, but also human life. These organs have many functions that we may rarely think about unless we experience ill-health. Our brains provide thought and memory, keep our hearts pumping, allow voluntary muscle control, and receive sensory information. 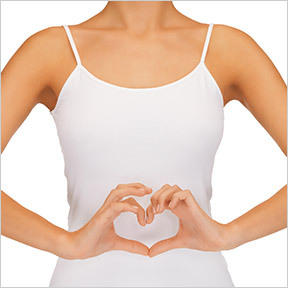 Our pumping hearts bring oxygen, nutrients and immune compounds to every bodily cell. Our lungs provide oxygen exchange and repel bacteria and harmful organisms. Our endocrine glands secrete hormones or chemical messengers that control our metabolism, direct our sleep cycles, and make digestion, detoxification and reproduction possible. The gastrointestinal system, commonly known as the gut, is home to our microbiome that allows for digestion, waste removal, nutrient absorption, and very importantly, the regulation of immune homeostasis. It’s a widely held belief that gut microbiota have a profound effect on immune health, as well as autoimmune-related diseases both inside and outside the gut. Although approximately one third of these vitally important microorganisms are common to most people, two thirds are specific to each individual. While each of us has a unique identity when it comes to our microbiome, the essential functions that directly impact our health are the same. A healthy and balanced gut microbiota is key to ensuring proper digestive functioning and overall wellness. Everything we ingest influences the health of the microbiome, A diet rich in nutritious, fiber-filled foods will keep the microbiome thriving and energy levels steady. Conversely, a diet filled with low-fiber, nutrient-poor foods results in an unhealthy microbiome that allows deleterious bacteria to flourish. To maintain diversity and proper functioning of the gut microbiota a varied and balanced diet is essential. Two widely studied elements considered beneficial for the gut health are prebiotics and probiotics. Prebiotics, or fermentable fibers, are the indigestible compounds in foods that selectively promote the growth and activity of certain beneficial bacterial species. Naturally present in fermented foods, garlic, onions, asparagus, oats, apples, flax seeds, bran and more, prebiotics can help with various digestive problems and have been shown to boost the immune system and improve metabolic health. The World Health Organization (WHO) defines probiotics as live microorganisms that confer a health benefit on the host when administered in adequate amounts. Probiotics, which can be found in foods such as yogurt, kefir, kombucha, pickles and sauerkraut, as well as supplements, support not only digestive health, but also immunity and overall health. Probiotics can help to balance the gut flora when it has been affected by poor diet, infections, antibiotic treatments and external factors such as stress. Poor gut health is tied to chronic inflammation, joint pain, autoimmune diseases, cognitive disorders, fatigue, allergies, hormone dysregulation, depression, and insufficient vitamin production, as well as improper nutrient absorption, digestion and elimination. Remember, a happy, healthy functioning gut has a positive effect on physical, mental and physiological health. Canadian and Chinese researchers have found evidence to suggest that a healthy gut could be linked to healthy aging, and concluded that food and probiotics could be utilized to improve biomarkers of health. To enhance gut health, eliminate toxic foods from the diet. Repair and heal the gut with a clean diet and key nutrients. Add probiotics to restore proper bacterial balance and consider digestive enzymes to promote healthy digestion. Avoid antibiotics unless truly needed, as they eliminate beneficial as well as deleterious bacteria, which can lower immune functions and raise the risks for infections, allergies and diseases. Exercise to lower stress. Stress hinders the immune response and causes the release of immune compounds known as cytokines that contribute to inflammation that can damage healthy cells. Supplements, including omega-3 fatty acids, selenium, CoQ10, and vitamins C, D and E, support overall health and can help to keep free radical damage from disturbing the health of the microbiome. Broad Spectrum Probiotic & Prebiotic by Prescript-Assist™: This broad-spectrum pre- and probiotic supplement delivers a proprietary blend of 29 separate strains of beneficial bacteria to help support optimal gut health and function, and restore a normal balance of gastrointestinal microflora. With more than six years of clinical development and testing, this professional formula is designed for overall wellness support, relief of occasional abdominal discomfort, and promotion of a healthy gastrointestinal environment. Just Thrive® Probiotic & Antioxidant by Just Thrive®: This unique probiotic formulation provides strains naturally designed to colonize in the small intestine supporting the body’s ability to improve the growth of its own strains of heathy and beneficial bacteria. Gluten, wheat, soy, and artificial ingredient free, Non-GMO vegan formulation. Daily Care Probiotic by Probulin®: This shelf stable, balanced once daily pre-and probiotic provides 10 billion CFU of 12 probiotic strains per capsule in support of digestive heath and microflora balance. Gluten, wheat, dairy and soy free, Non-GMO formulation. Probiotic-5 by Pure Encapsulations®: This dairy-free blend of five key beneficial probiotic strains is designed to promote the health and comfort of the gastrointestinal tract, healthy cellular function and overall health. Dairy and soy free, Non-GMO vegan formulation. Digest Gold™ Plus Probiotics by Enzymedica: This very popular, award winning formula provides the convenience of high potency digestive enzymes with guaranteed delivery of active probiotic cultures. TherActive™ delivery ensures probiotic release in the lower intestine for optimal benefit. Gluten, wheat, dairy, casein, and artificial ingredient free, Non-GMO vegetarian formulation. This entry was posted in Home and tagged Broad Spectrum Probiotic & Prebiotic by Prescript-Assist, Daily Care Probiotic by Probulin, Digest Gold™ Plus Probiotics by Enzymedica, Good Health Begins with A Healthy Gut, Just Thrive® Probiotic & Antioxidant by Just Thrive, Probiotic-5 by Pure Encapsulations, Professional Supplement Center, Vitamins and supplements, www.professionalsupplementcenter.com. Bookmark the permalink.